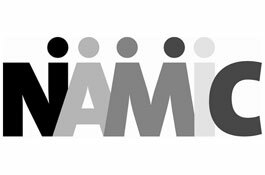 The National Association for Multi-ethnicity in Communications (NAMIC) announced the winners of its Excellence in Multi-cultural Marketing Awards (EMMA) today. The awards competition showcases marketing efforts aimed at culturally diverse customers. The EMMA competition recognizes the cable industry's commitment to facilitating best practices, while developing creative, strategic and innovative approaches to ethnic-targeted marketing. The competition is comprised of two award categories: Marketing Tactics and Case Studies/Campaigns. Entries submitted within each category were judged within two divisions: Cable Distributors and Networks/Industry Suppliers. A judging panel of independent industry experts evaluated entries and selected all winners based on sound and innovative strategy, strength of execution against the strategy, evaluations of strategy, implementation and results. Deviating from the traditional "best of" competition method, each entry was judged against a standard of excellence and not against other entrants, resulting in the potential for zero to multiple winners in each category. Time Warner Cable and Comcast garnered top honors in the Cable Distributors division earning first place wins in five and four award categories, respectively. In the Networks/Industry Suppliers division, International Media Distribution and Univision Communications Inc., earned first place finishes in three categories, while BET Networks and GMA Network, Inc. took two first place awards each. Networks/Industry Suppliers garnering first place wins in a single category include ESPN, Turner Broadcasting System, Inc. and VH1. GMA Network, Inc. (GMA), through its international business unit, was once again recognized by the association after winning six EMMAs (Excellence in Multi-Cultural Marketing Awards) for its highly innovative international marketing tactics. GMA’s international unit oversees the distribution overseas of flagship channel GMA Pinoy TV, as well as GMA Life TV, GMA News TV International, DZBB and DWLS. To date, the channels reach over 2 million viewers on various pay-TV platforms in 90 countries worldwide. To see all the nominees from other countries, click here.